Tile roofing materials are beautiful pieces made from strong materials that last for at least 50 years and have been known to last for as long as a century or more. You probably know of them as terracotta tiles, which are basically clay tiles with that distinct clay color (although they do come in other glazes). However, concrete tiles are also available and are just as good as their clay counterpart. As mentioned earlier, tile roofs can last anywhere from half a century for concrete tiles to a century or more for clay tiles. They’re also fantastic roofing materials for areas with a cold climate since the tiles are great insulators that keep heat from escaping from within the house. Although the installation of these materials can be pricey due to the specialized equipment and training required for the process, the upkeep and maintenance of a tile roof in itself is fairly low. That’s because these roofs are tough and durable, which mean you won’t need to worry about constantly replacing damaged tiles. 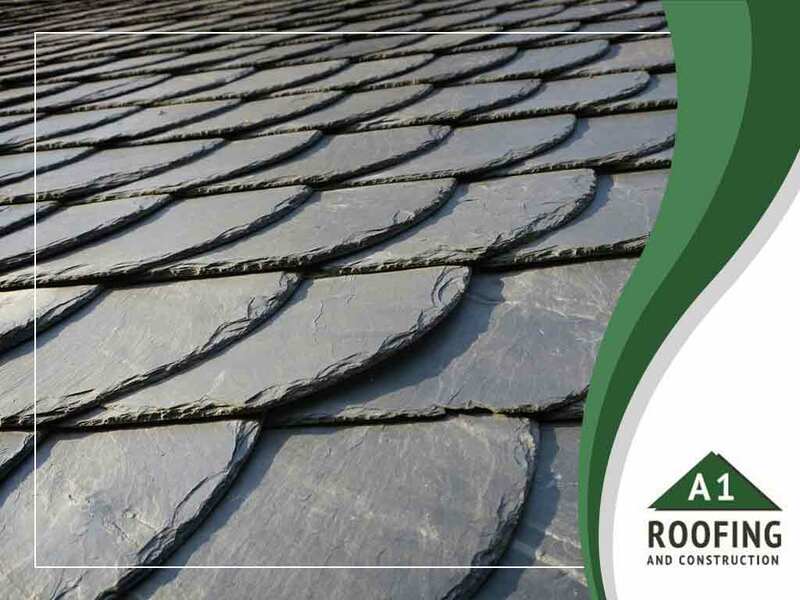 Slate roofs, on the other hand, are one of the longest-lived roofing materials. There are some roofs that have been around for the better part of two centuries. The material itself is beautiful and highly durable, and can be a good way to increase your home’s curb appeal. Slate is so durable because of how resistant it is to a lot of things. The toughness of the material gives it a fairly high-impact rating, which is great for areas with high winds and/or hailstorms. It’s very wind-resistant due to the weight of the material. And, it is naturally non-porous, which reduces the chance of punched-through leaks and mold growth. One caveat for installing these two roofing materials is that they require specialized equipment, training and plenty of experience. That’s because both of these materials are heavy, and your home will need to be tested to see if it can carry the weight of the material. A1 Roofing & Construction has that specialization. We’re one of the most experienced installers of slate and tile roofs in Rhode Island. Find out more about our slate and tile installation services by calling us at (401) 265-1019 or by sending us a message via our contact form. We serve Tiverton, Newport and Providence, RI.